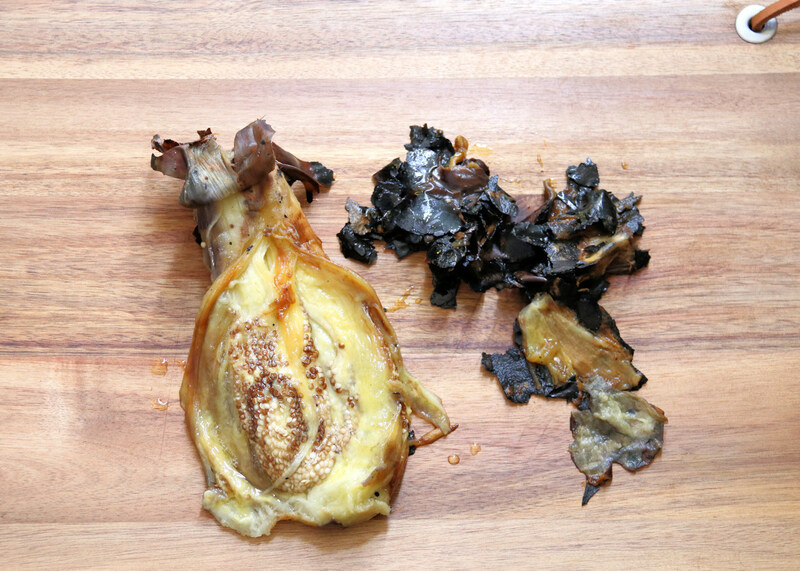 How To Fire-Roast Whole Eggplant is a venerated multi-cultural technique for making smoked eggplant. Include in mezze, cooked vegetable salads, pasta sauces, casseroles, soups, and stews. 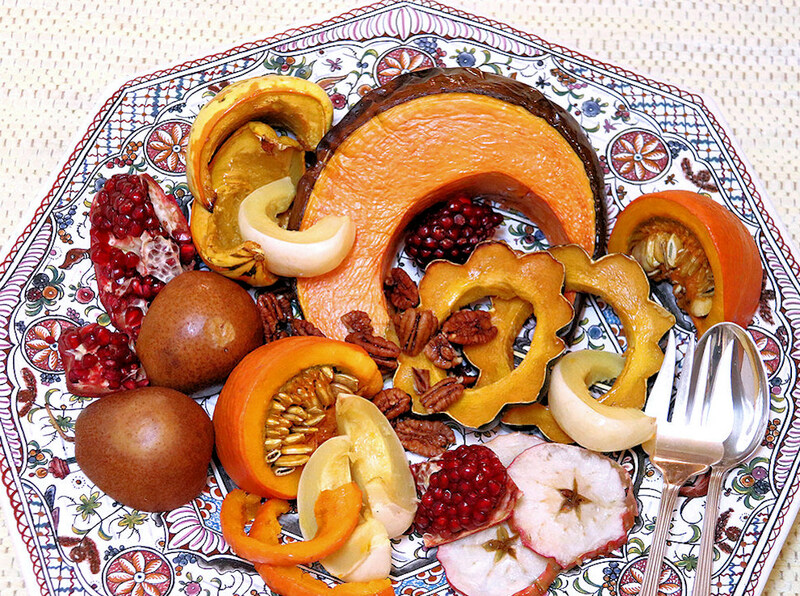 Celebrate the season's harvest with Roasted Fruit and Vegetable Platter of squash, pumpkin, apples, pears, nuts, and pomegranates. 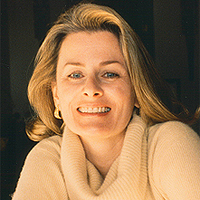 Serve as a roasted salad, side dish, or main dish with flat breads, cheese, and wine. 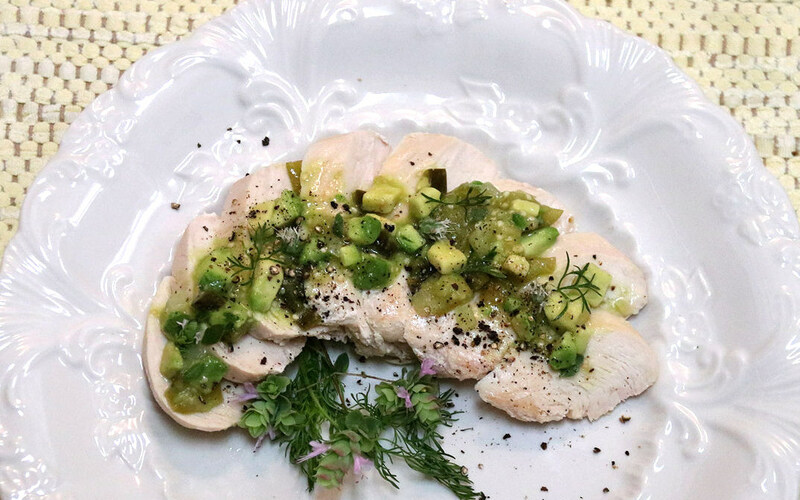 Quick and easy, make Chicken Breast with Avocado-Tomatillo Sauce and Oregano Blossoms with chicken you prepare at home or purchase roast or rotisserie chicken. Savory with a kick of heat. 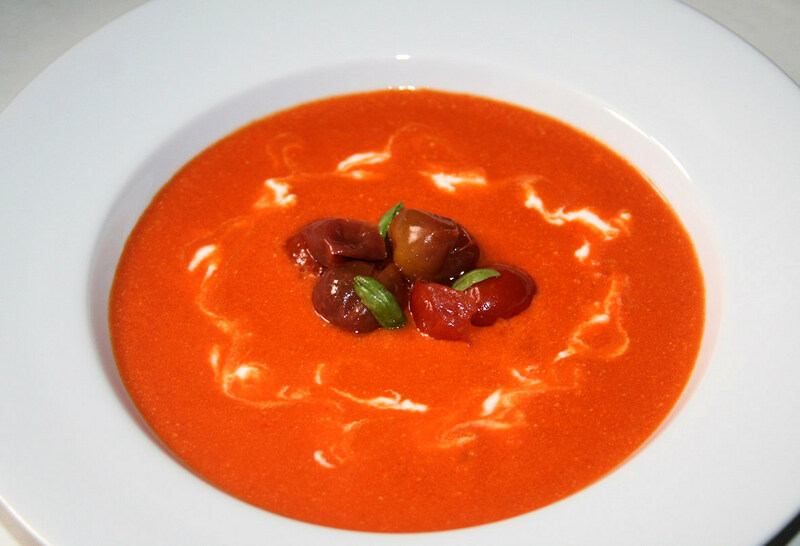 If you like tomato soup, you will love Roasted Red Pepper and Tomato Soup with Ricotta. 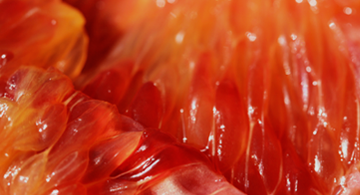 Bold in color and flavor, yet creamy smooth, serve as an appetizer or main dish. 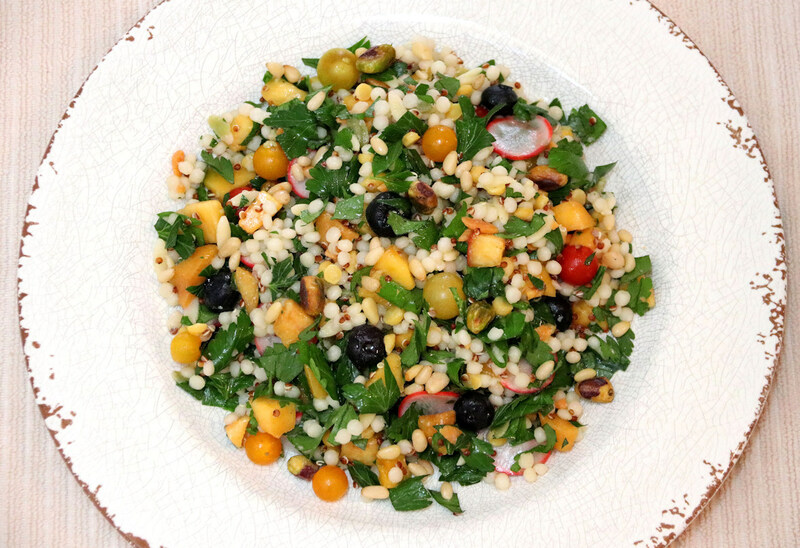 Fruit & Grain Salad with Nectarines, Blueberries, Radishes, and Tomatoes is a refreshing end-of-summer salad. Great for family and parties, serve with grilled chicken, salmon, shrimp, tofu. 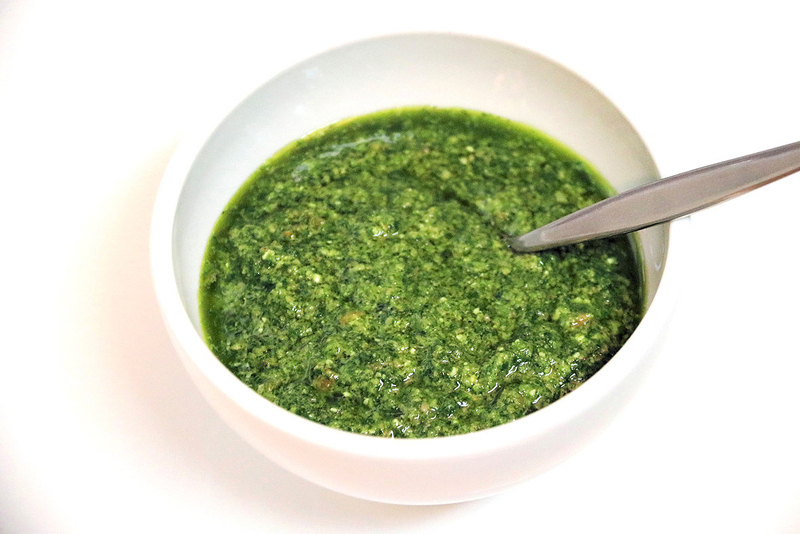 Salsa Verde, Italian Green Sauce, is a fresh parsley sauce loved in Italy. Make in advance, store up to 2 weeks. Great with grilled, poached, or roasted meat, poultry, fish, and vegetables. 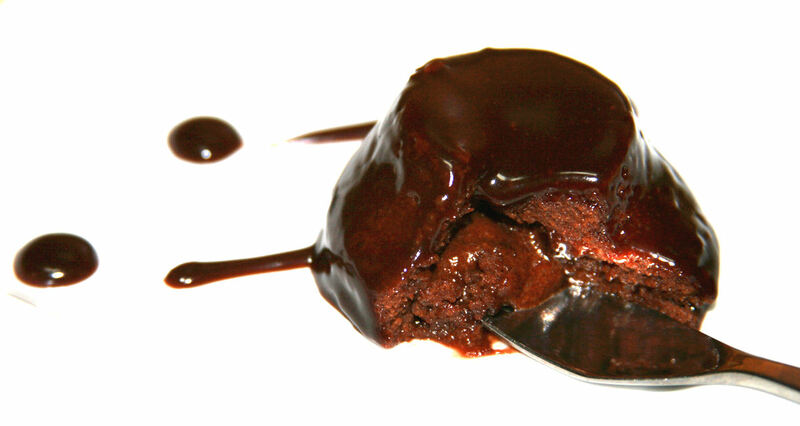 Warm Chocolate Nutella Lava Cake is the perfect chocolate cake dessert. Easy technique with Michelin-star chef tips. Bumper crop of zucchini? 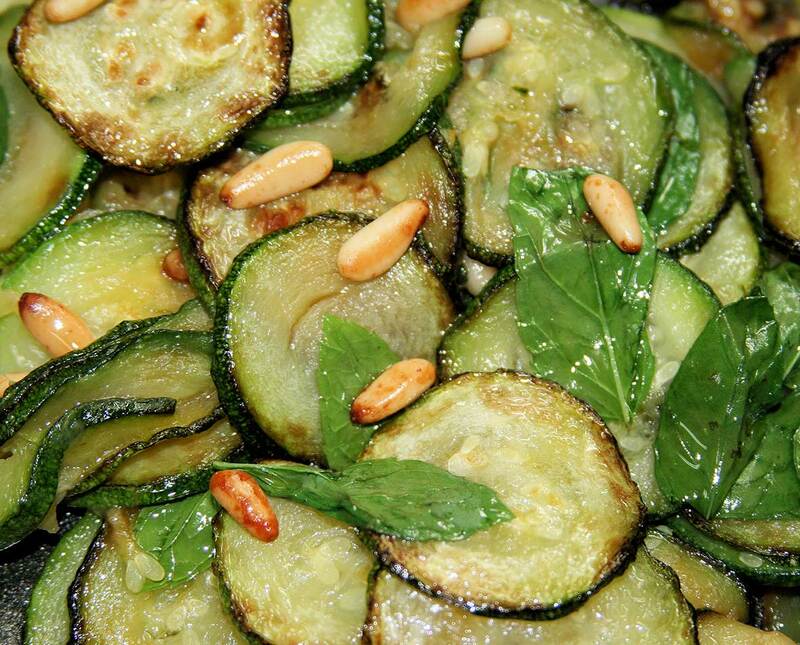 Make Fried Zucchini with Pine Nuts, Chili, Mint, and Basil Leaves. 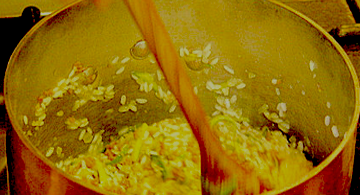 It's great with pasta or grains, as a side dish or savory bed for grilled fish, meat, or poultry. Leftover turkey after the holidays? Forget another year of making soup, salad, and sandwiches with leftovers. 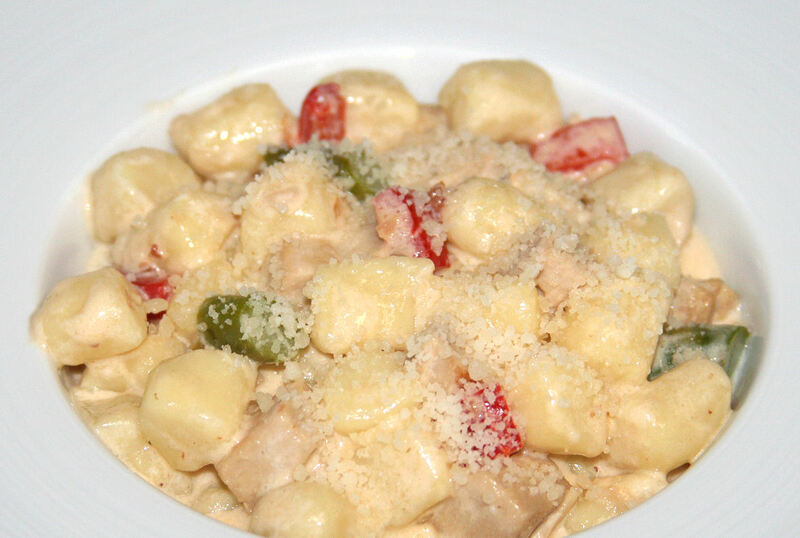 Make Potato Gnocchi with Turkey Ragù, Asparagus, and Roasted Pepper – Luscious! 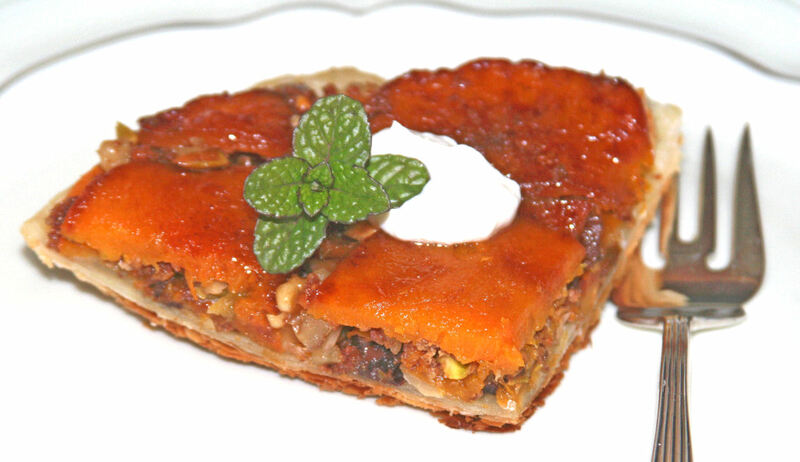 Butternut Squash Tarte Tatin with Nuts, Amaretti, and Chocolate tastes divine. The only cooking you do is melt a pat of butter, then assemble, and bake. It is a spectacular dessert. 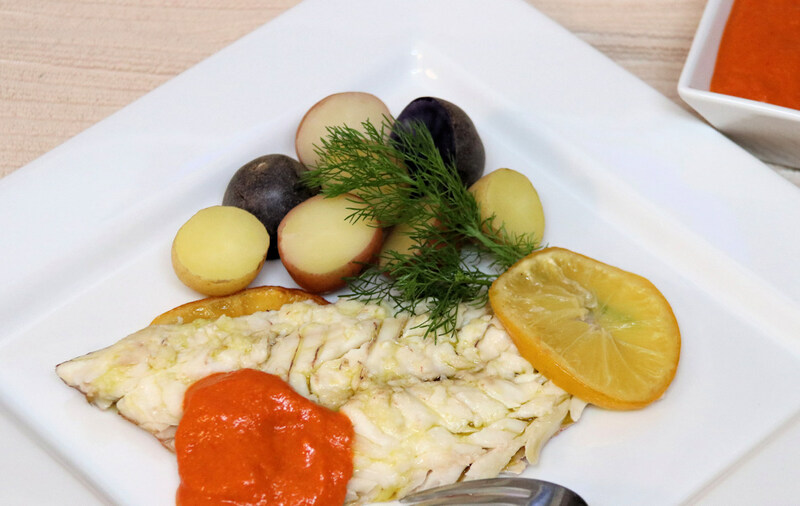 Roasted Red Snapper with Wild Fennel, Sweet Lime, and spicy Romesco Sauce hits the summer spot. Easy, breezy, and so delicious. 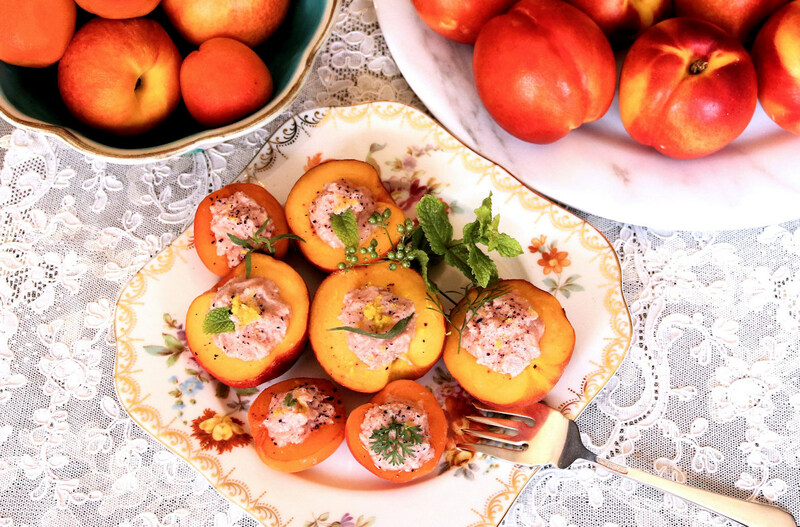 Smoked Ham Mousse with juicy apricots, nectarines, and peaches is the essence of summer. Make this no-cook dish in advance. 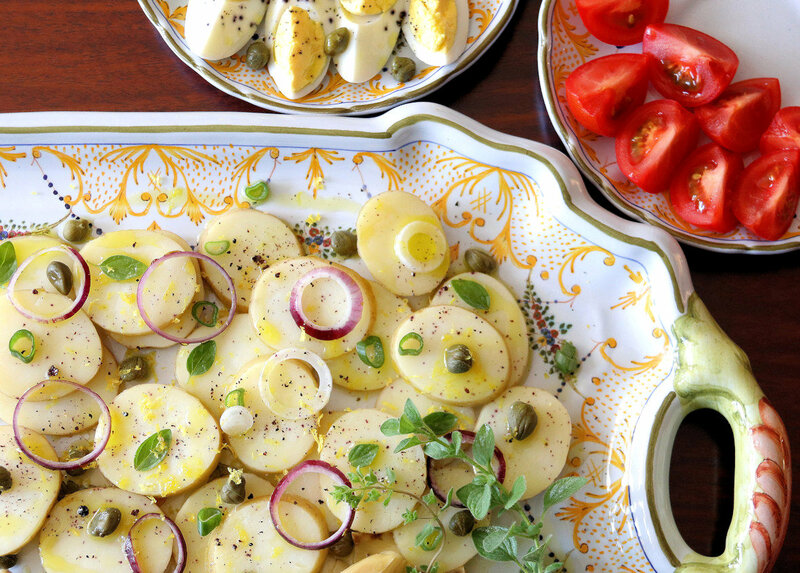 Sicilian Potato Salad with Onions, Capers, Oregano, and Lemon Zest is ideal for summer cookouts and grilled seafood, meats, and poultry. The epitome of summertime on the Italian table is Burrata Caprese. 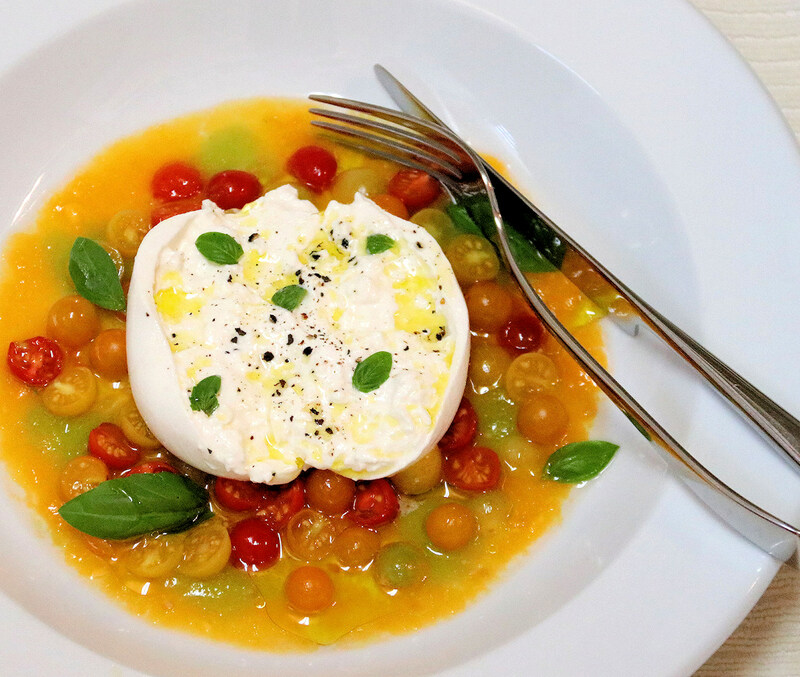 Creamy Burrata with fresh tomato puree and cherry tomatoes is luscious! 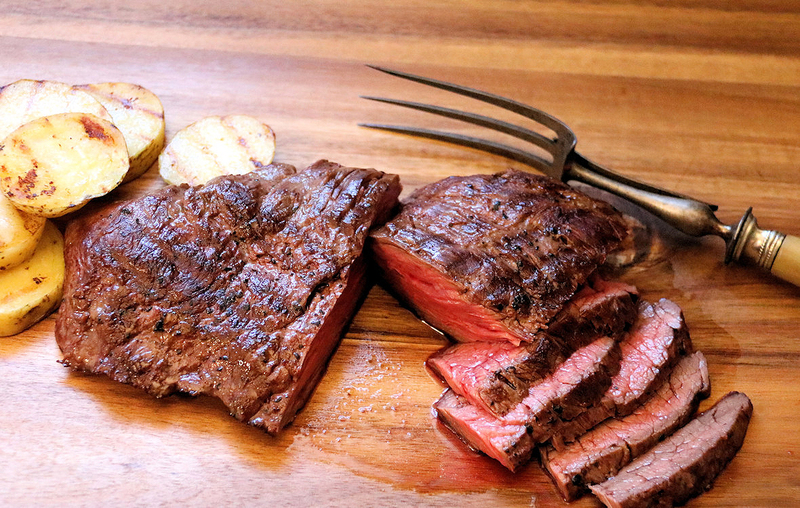 Grilled Bavette with Urfa Biber (Isot Biber or Isot Pepper) and Salmuera is the quintessential steak-lover's delight! 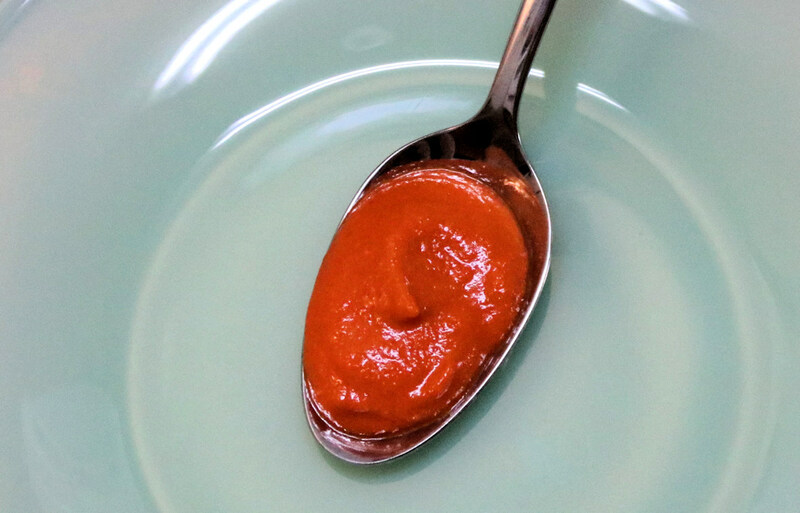 Romesco Sauce is a classic Spanish sauce of roasted almonds, peppers, and tomatoes with a splash of vinegar. Great for cookouts.